Jared Unzipped: The Greedy Vulture. Three vultures landed atop a tree in an open field one evening. From high above, they had witnessed the last living moments of an old fox. As the bushy-tailed thief wandered through the field in a daze, it finally stopped along a sandy trail, fell to its side and passed away silently. A life lived to its fullest extent, the fox moved on having enjoyed an adventurous existence. As the winged scavengers approached their meal, the largest of the three flew ever faster. Hopping and skipping towards his prey, it was determined to possess the fox all for itself. Launching head first into its meal, it gorged on the deceased flesh. Tearing at the sinewy skin covered in an auburn fur, the vulture feasted thoroughly before the other two could arrive. As they did, the greedy first vulture flapped its magnificent wings and cawed in anger. Chomping and slashing at his competitors, it did its best to assure that this meal would not be shared. The two other vultures backed off in awe. How could they be denied such a fine feast by their supposed friend? In agony, the two hungry vultures flew off, leaving their former companion to the rotten fox carcass. The battle was lost... and so was their dinner. Continuing to tear into the fox, the large vulture enjoyed every succulent morsel as he sucked down whatever his stomach could hold. His barren face, covered in blood and mucus, looked like a battered chunk of sausage left to fester in the sun. He just couldn't get enough of the fox. Many hours later, after the frame of the fox's body had been picked nearly clean, the greedy vulture rested in a nearby oak tree. Enjoying his full stomach, he nodded off to sleep in peace. What this particular vulture failed to realize was that the fox had been poisoned with a heavy dose of anti-freeze by a frustrated farmer. One too many chickens had been stolen and the fox was on the farmer's hit list. 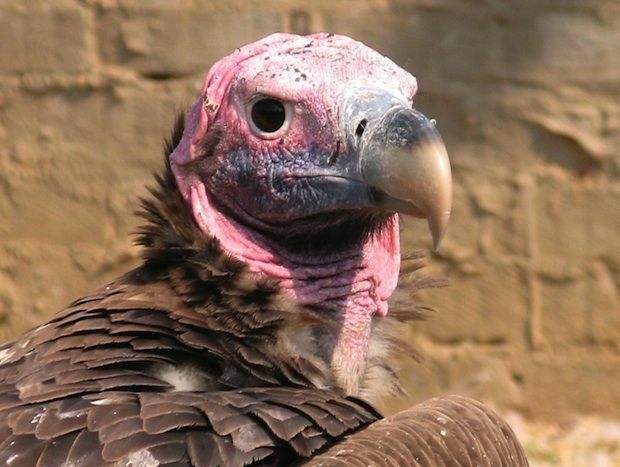 In the wee hours of the morning, the vulture slipped into a permanent dream of decay, never to awaken. He fell from the tree, though was dead long before hitting the ground. By the light of the next day, the two other vultures flew overhead and noticed the overpowering stench of their dead companion. Cackling in guttural laughter, they landed and inspected the body. Appreciating the irony of the situation, one of the vultures approached their deceased former friend and plucked a tasty eye right out of its head. So... what's the moral of the story? In the end, all we amount to is a meal ticket for the next guy in line.